Golden Sponsorships- How You Can Help Them! We still continue to take in so many goldens each week and unfortunately, still have many, many goldens in our care without sponsors and we desparately need your help! Many of the goldens currently in our care have special medical needs and will be in our care for longer than normal. Please take a moment to look at the goldens and each of their stories in our website and hopefully one of them will touch you to help them by becoming their sponsor. Chloe, a sweet senior girl came to GRIN with her sibling Duchess as their mom has experienced some medical challanges. Chloe and Duchess are waiting for their forever home. If you cannot foster or potentially adopt them, please consider becoming a sponsor for these beautiful girls as we continue to care for her continued medical needs. You can read about this golden and all of our goldens who are waiting on their forever homes on our Available Goldens pages. If you can't adopt or foster a golden with G.R.I.N., but would like to help one (or more) of our rescued goldens, you can help us by becoming a sponsor of one or more of these rescued golden beauties! As you look through our pages of "Available Goldens", you will see that many are sponsored but so many of these goldens still have NO ONE to sponsor them and we need your help. We are asking for your help! 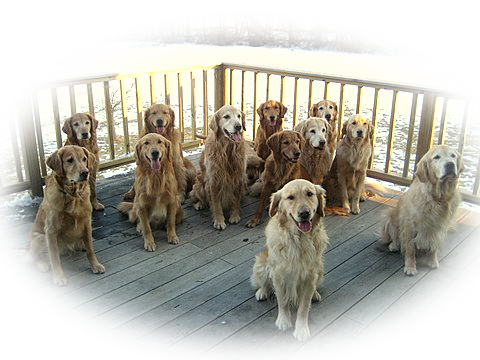 Our goal is to have all of our goldens sponsored with one or more sponsors. A "Golden Sponsorship" is easy and a great way to help some very deserving goldens. Here's how to become a sponsor. To sponsor any of our current Adoptable Goldens, simply visit the Available Goldens page; select the the dog(s) you would like to sponsor for any amount and can be a one-time sponsorship or on-going, that's up to you! Sponsorships can be in your name alone or can be in memory or honor of someone or your special pet. All sponsors will be listed on our website with your sponsored golden. We encourage multiple sponsorships as many of these goldens need extensive care and you can be a special part of their new beginning. You can sponsor a golden using your debit or credit card conveniently and securely through PayPal on our website. 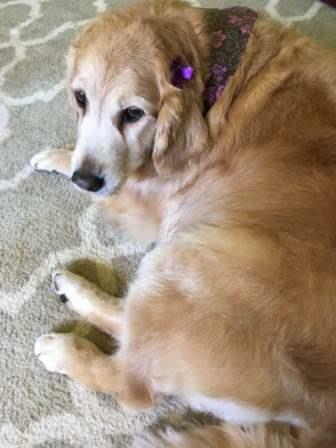 Be sure to include the name of the Golden(s) you're sponsoring AND your home mailing address so you can be sent a receipt and a special donation card with your golden's name. All sponsorships are fully tax deductible. Our Goldens appreciate and need your help! Thank you for considering this program. For more information, you can go to our Sponsor a Golden page on our website. Thank you for helping us help them and being a special part of their new beginning!